Maria has been practicing architectural design for 22 years. Her passion is helping homeowners discover the true potential of an existing space but her expertise extends to all aspects of design. Silipo Architecture focuses on custom residential design tailored to the values and aesthetic tastes of its clients. Principle Architect, Andy Silipo, has been involved in the design and construction industry for almost 20 years. Andy worked for two highly acclaimed design firms in the Boston area; Meyer and Meyer Architects and Catalano Architects. Andy has always been attracted to the promising nature of home design and how a structure interacts with its environment and inhabitants. In his career he has been able to combine his passion for art and design with his love of construction, and the belief that thoughtful design can improve the lives of all who engage it. Regardless of the scale, scope or budget of a project, Silipo Architecture aims to maximize and create value through thoughtful design and rigorous technical expertise. Ideally involved from concept through construction, Silipo Architecture guides and facilitates clients through the entire design and construction process, advocating for the use of quality materials and collaborating with trusted and experienced craftsmen. At William Lee Architect & Associates, we believe thoughtful analysis and creative talent are essential elements for great design. We believe that complex program challenges are solved by the collaborative process which results in elegant and inspired design. And we believe that the successful building form has the ability to delight the senses and resonate with the human spirit. How do I find the best Melville architect for my home design project? It is best to hire a home architect who will be involved in all phases of the design process, from the initial concept to the completed construction. The architect is often the first person you will hire for your project. If necessary, they might also help you select and hire Rhode Island subcontractors, which can include the builders, engineers and landscaper. Interior architects are also involved in negotiating contracts for all involved participants. It is for these reasons that it is extremely important for you to have a good relationship with the Melville residential architect you hire. He or she can be the tie-breaking vote between you and the general contractor and can be your biggest advocate during the construction process. 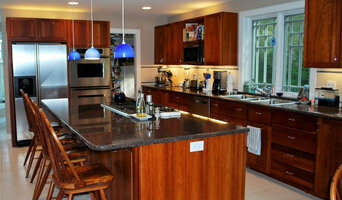 Different architecture firms in Melville, RI provide different services, so the scope of the work can span from pre-design environmental impact studies to selecting furniture and finishes, depending on what your specific needs are. It is very important to hire the right professional for the job. Remember that the most well-known or established designer might not provide the best architectural services for your needs. It all comes down to the individual project. Research and ask people whose work you like for recommendations. It's important to have somewhat of an idea of the style of house architecture that you prefer, as well as the amount you would like to spend. 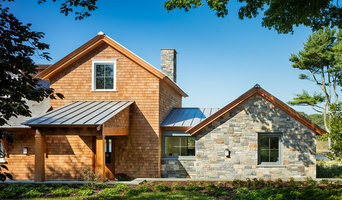 Residential architects in Melville, RI are natural problem solvers. They will assess the entire situation and help you to solve your problems too. Don't settle for a single company too early. Call and interview a few. Make sure that you feel like your personalities will mesh well and that you like their professional perspective. 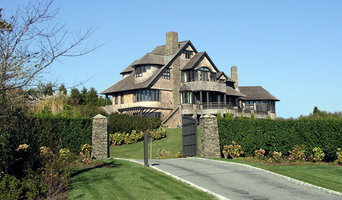 Find a home architect in Melville, RI on Houzz. Narrow your search in the Professionals section of the website to Melville architects. You may also look through photos of Rhode Island projects to find interior architects and building designers who have worked on a project similar to yours.